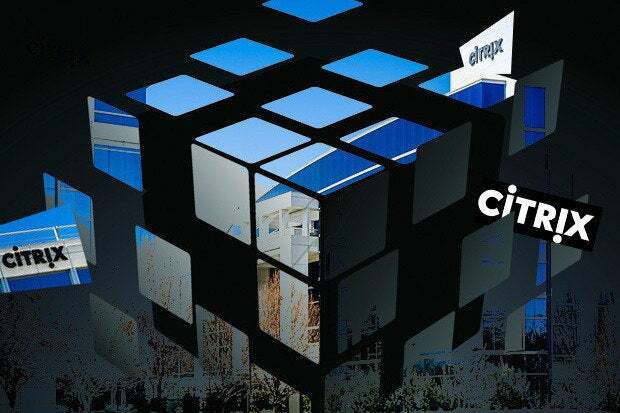 Kirill Tatarinov took over as CEO of Citrix in January, a key piece of a company reorganization demanded by activist investor Elliott Management, which had acquired a 7.5% stake in Citrix. Tatarinov, a 13 year veteran of Microsoft, where he was most recently Executive Vice President of the Microsoft Business Solutions Division, is putting the finishing touches on the company’s new plan, which will be introduced at the company’s large user conference in May, but he shared a preliminary glimpse with Network World Editor in Chief John Dix. * Virtualization. A foundational element, which is essentially how Citrix got started many years ago, is the access point that people use to get virtualized apps and desktops. This business has more than 400,000 customers. It is an amalgamation of core elements: applications, virtualization, desktop virtualization and delivery. And now, as we plan for the future, we are embracing new ways people can access their virtualized apps and desktops through the cloud. * Mobility. Another core pillar for us is mobility, which is tightly aligned with app and desktop virtualization. All of our products enable customers to be mobile and secure, plus we have specific products in the market. We have an enterprise mobility management suite called XenMobile. The most critical part of enterprise mobility management is mobile application management, which essentially allows people to bring their own devices and access corporate applications and data, which can all be supported by IT. This enables IT to help secure the business and users by controlling what users can store, how they can store it, how they can wrap it, how they can access it, and what they can access. That’s very important and an interesting area of focus for us. Plus, we also support the full IT-controlled mode of MDM as part of our mobility management solutions. * Networking. The third area of focus is our networking business, which includes our NetScaler platform. The solution we have spans several key network elements: it’s an ADC, a gateway and it is a software-defined WAN. It’s software so it can be deployed in different ways. It can also tie together with our Xen family, both in XenApp and XenDesktop, optimizing access, and it integrates with XenMobile. As an example, together XenMobile with NetScaler let us provide something called a MicroVPN that enables you to create VPNs on a per app basis. Going back to the mobile application management scenario, if for example, a device is not enrolled, is not managed, and there is no VPN available, we can support a microservice that manages and secures access for individual apps. This is enabled by NetScaler and is something only Citrix can do. * File Sharing. The fourth area of focus for Citrix is secure file sharing. What it unique is that it is file sharing for professionals at small and large businesses, contrasting with other solutions. This is not a consumer oriented business trying to serve enterprise requirements, and we’re not trying to serve the needs of both consumers and businesses. It’s exclusively focused on business. And even though businesses share files with consumers, it is the business owner who essentially controls the access, and we’re providing a secure solution that was developed for business. The previous business I ran included ERP and CRM software and there were very clear renewal cycles. For ERP it’s 15-year renewal cycles. The previous renewal was in 2000 and the next renewal is happening right now. That’s ERP. What we’re analyzing here is, what is the renewal cycle for application and desktop virtualization infrastructure? Is it three-years, five-years, ten-years? Organizations going through that renewal cycle now want to go to the cloud, or at least want to experiment with the cloud to see how it works. But it’s absolutely real. People have seen benefits and real cost-savings. Well, they square up directly in the virtualization area, and I think over the years they have made a lot of claims, some true, some not, and to a degree Citrix has been soft in our approach to competition, but we are seeing some good wins. We are seeing good momentum. We see some very interesting takebacks and we are going to be more vocal about those.